Aloe Barbadensis (Organic Aloe Vera) leaf extract, Organic Alcohol Extracts of Calendula Officinalis (Organic Calendula) flower (and) Camellia Sinensis (Organic White Tea) leaf, Butyrospermum Parkii (Organic Shea) Butter, Carthamus Tinctorius (Saflower) Oleosome (and) Aqua, Cetearyl Olivate (and) Sorbitan Olivate, Cetyl Palminate (and) Sorbitan Palminate, Organic Glycerin, Simmondsia Chinensis (Organic Jojoba) seed oil, Limnanthes Alba (Meadowfoam) Seed Oil, Daucus Carota Sativa (Carrot) seed oil, Sodium Hyaluronate, Anisic Acid, Caprylic/Capric Triglyceride (and) Hydrogenated Vegetable Oil (and) Crithmum Maritimum (Sea Fennel) Extract, Rosmarinus Offcinalis (Rosemary) Leaf Extract and Helinatus Annuus (Sunflower) Seed Oil. 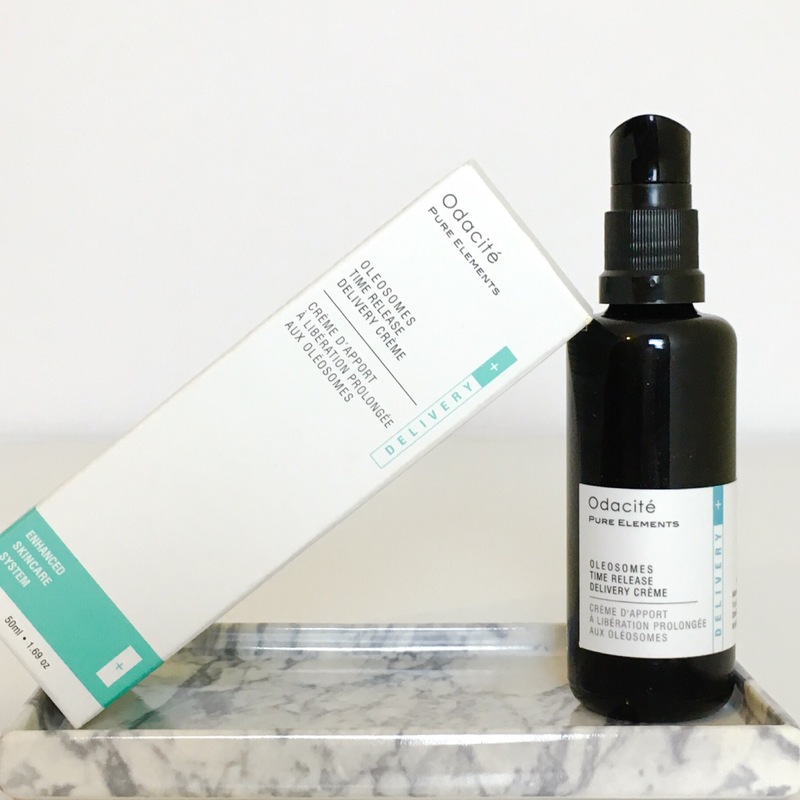 When Odacité first announced the release of the Oleosomes Time Release Delivery Crème ($68/£55 at Cult Beauty or Content Beauty) I was so excited. I travel so much and always struggle with keeping my skin in check when I’m on the road, so this sounded like something I definitely needed. I was lucky enough to be sent the crème to test out before the release, and it could not have come at a better time. September was a crazy month for me and I travelled all over the country and took countless flights. Flying that month was a bit of a nightmare as it was incredibly hot and humid every where I went, but the flights were freezing and so drying on my skin. Usually, in a situation like this, my combination skin would go a little crazy as I try to balance keeping it hydrated without causing any congestion, but this time it was not a problem and it was primarily thanks to this product. It’s a great hybrid of nature and science and has finally got me using an actual moisturizer instead of just one of my beloved oils and that is huge. Being someone who has never loved a moisturizer in her life, you know this one has to be special for me to be using it and it absolutely is. It contains an ingredient called oleosomes, which are tiny organelles found in the cytoplasma of plant cells that synthesize and store lipids (vitamins, triglyercides etc.) as future energy sources. Very scientific, I know, but what this means is that once you apply the crème to your face, the oleosomes will supply an ongoing delivery of hydration as well as steadily releasing the active ingredients to your skin throughout the day/night. Combined with ingredients like aloe vera, calendula, hyaluronic acid and tea extracts you’ve got a multitasking moisturizer that will hydrate, soothe, protect and repair the skin, plus, it’s 81% organic and 100% plant derived. Bliss! As you can see from the image, the crème comes in a chic black glass bottle with a pump dispenser. The product itself is lightweight, sinks in quickly and leaves a lovely semi-matte finish. Your skin will feel smooth and soft without any greasy or tacky feeling. It smells quite herbal-y but not at all unpleasant and the scent is very mild and doesn’t linger. 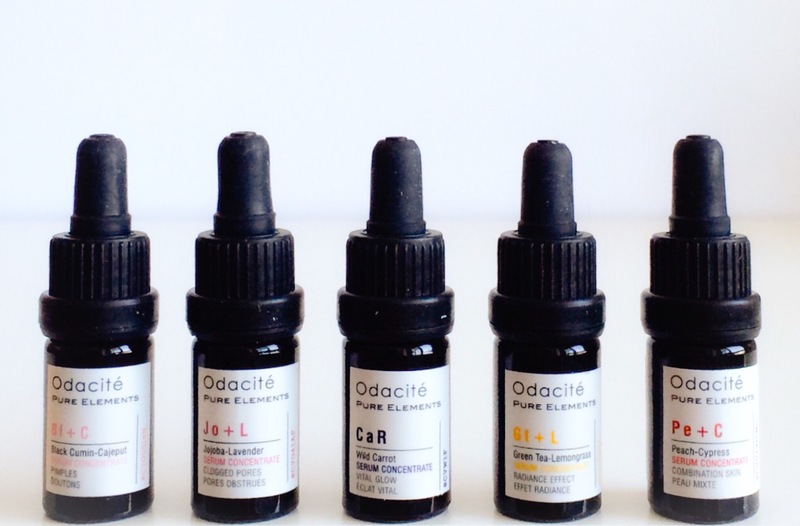 It is incredibly high quality, like everything I have tried from Odacité, and I have been so impressed by the formulation and the results it has given me. Of course, there are a couple of issues that need to be discussed. Ever since I first posted about this on my Instagram the number one question/concern was about the apparent high alcohol content. As you can see from the INCI list above, the second ingredient is “Organic Alcohol Extracts of Calendula and White Tea” and a lot of you were upset with this inclusion and worried that it would be too drying on your skin. I contacted Odacité and they explained to me that “the alcohol is listed as part of the extraction process of the calendula and white tea” as it creates the most potent extracts. So, technically, it’s not that there is a high alcohol content, but a high calendula and white tea extract infusion and this should not be considered the same as alcohol denat. or anything like that. Not only that, the shea butter (fourth ingredient) should counteract any possible dryness that might occur. Just as a side note: Many U.S. brands do not disclose the alcohol used in extracting certain ingredients. On quite a few products I have seen just “calendula extract” on the INCI lists but no inclusion of the alcohol used in the extraction process, so be aware next time you’re checking ingredients. Now on to the second issue. Those with large pores/acne prone skin asked me about the high shea butter content as it can be pore clogging but I had no problem with this and I am acne prone. I have found that with products containing good quality shea butter (African Botanics Marula Intense Repair Balm, for example), I don’t break out at all. Not only that, the aloe vera, calendula and white tea extracts are very skin soothing and anti-inflammatory so will actually help calm acne prone/sensitive skin. This may not be good for those with oily skin but if you are combination, then this is definitely something you should consider if you are looking for a moisturizer. Odacité recommend customizing the performance of this crème by mixing it with their incredible serum concentrates and I think that is a brilliant idea. You could add BI+C for pimples, Pa+G for hyperpigmentation, Gt+L for radiance or Ro+Y for wrinkles – the possibilities are endless and so fun! You can really tailor the combinations to your skin’s needs and switch out the skin concentrates whenever you want, just keeping the crème as your “base” and I think that is such a great concept. I love this for days when I am particularly dry/dehydrated and don’t want the heaviness of an oil. With this my skin feels hydrated, comfortable and balanced all day. I don’t use it every day (as I have combination skin and don’t need it all the time) but when I do, it works like a charm. If you have dry/dehydrated skin then I highly recommend this. It’s getting colder and colder with every passing day and this is the perfect solution to winter skin woes. P.S. I heard through the Odacité grapevine that they are putting together a trial kit with a sample of this and a few of the serum concentrates so when that’s released I will let you guys know. Next > November Favourites, Bravura London Review and Giveaway! I just got the radiance serum concentrate in the Cult Beauty goodie bag, have used it 3 times and it is AMAZING. I can’t tell you, my skin is peachy and clear and, well, radiant. Loving Odacité hard at the mo. This sounds like a lovely product, and I really like that they’re upfront about their ingredients! I would love to check out their trial kit once they release it! It really is a great product and I love that they are so honest too! Hopefully the trial kits come out soon because there is a lot of interest! I’m meeting the founder of Odacite today 🙂 Reading this really helped me!